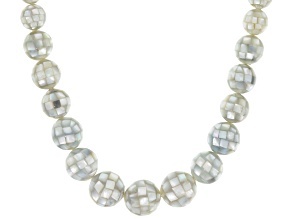 Step out in style in a new mother of pearl necklace from JTV! 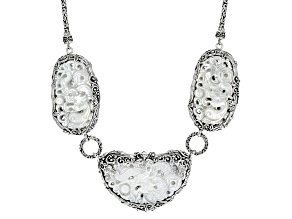 Mother of pearl has long been beloved for its smooth elegance and unique luster. 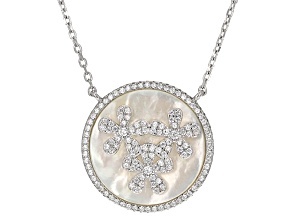 In fact, mother of pearl has been used for decorative purposes since ancient times. The Egyptians as well as the Sumerians were adept at decorating with mother of pearl, and it has been used ever since. 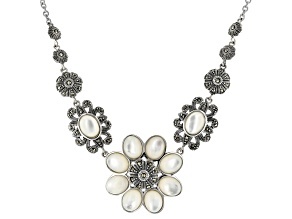 Part of the reason for this is the abundance of mother of pearl, as opposed to the fully-formed pearls found in jewelry pieces like pearl necklaces. Both are made from the same substance, nacre, but develop under differing circumstances. All mollusks that can produce pearls also produce mother of pearl as a protective coating on the inside of their shells. It is only with the addition of an irritant is a pearl formed. The mollusk will use the same nacre it uses to create its shell to cover and surround the irritant. 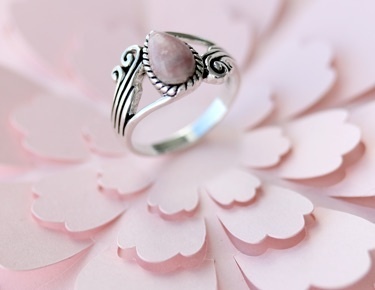 The abundance of gorgeous mother of pearl has led to a wide array of different styles of jewelry at very reasonable prices. 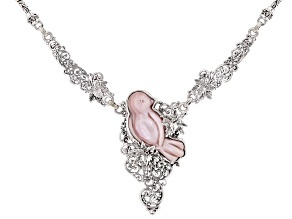 You'll find pendants, teardrop necklaces, filigree necklaces and more when you explore affordable mother of pearl necklaces at JTV. 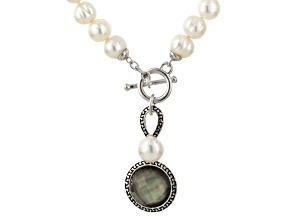 Mother of pearl necklaces are also available in a number of different colors such as light pink, blue and green. 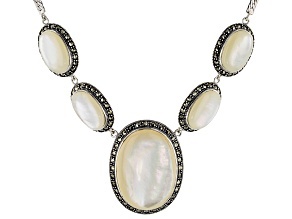 There are even deep black mother of pearl necklaces for a look that will really stand out! 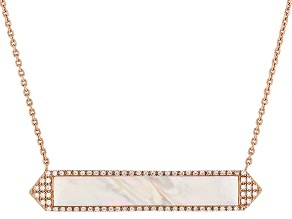 The luster and iridescence of mother of pearl adds a timeless touch of beauty to nearly any ensemble. 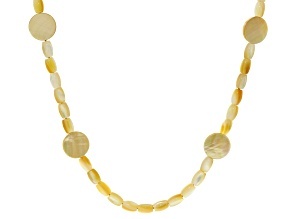 A mother of pearl necklace can make an otherwise muted outfit pop to life. 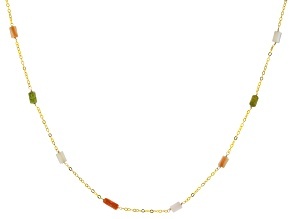 Try adding a mother of pearl bracelet or mother of pearl earrings to your look for even more of a 'wow' factor. 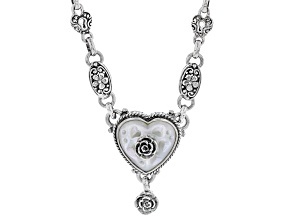 And just like affordable mother of pearl necklaces, other mother of pearl jewelry is reasonably priced to fit your budget.